One of the most important concerns when using PBL is the extent to which the groups in which students work and learn are effective. All too often, PBL is implemented within curricula with little real attention being paid to the relative costs and benefits of group-based learning. 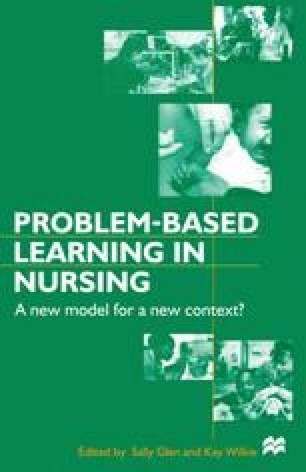 This chapter will argue that an understanding of group dynamics is vital not only for students involved in PBL, but also for the staff facilitating such groups. There is also little understanding of, or research into, the complex interplay of group and facilitator, and the way in which both change and adapt their roles and relationships as the PBL group matures. What will be presented first is an overview of the literature relating to the role of the facilitator and an exploration of whether the groups in which students learn are groups or in fact teams. The second part of the chapter will examine the notion of interactional stance and the concept of disjunction, exploring the impact of these issues upon group dynamics in problem-based contexts.